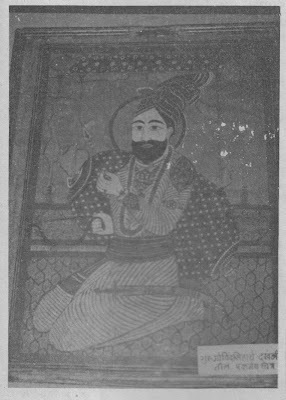 Randhir Singh Goraya from Aurangabad, Maharashtra, has sent the photograph of a painting of Guru Gobind Singh which is claimed to have been Painted bY a contemporary artist. The painting is preservedat M. Kaushalya Purwar Museum (M.K.P.M. ), Aurangabad. MKPM being run by some Private body has a rich collection of coins, medals and seals, Stone Age tools, arms and armour, beads, sculptures, Paintings, manuscripts, textiles' gems and jewellery and fossils. Several valuables and rare artifacts are preserved there. 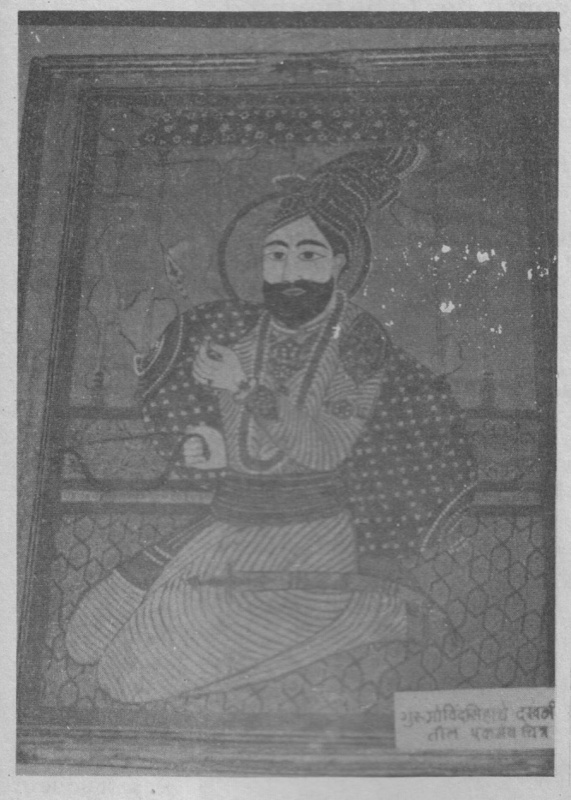 The headgear of Guru Sahib in this painting is quite curious.